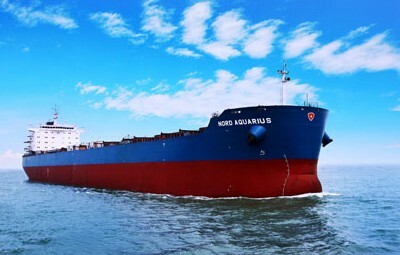 This vessel is an ocean going , single skin bulk carrier with single screw and diesel engine drive suitable foe global ordinary dry bulk cargo transportation such as grain .coal and iron ore .the shipment of dangerous cargo and deck cargo is not allowed . This vessel has cargo hold and engine room with double bottom ,raked stern post with bulbous bow ,transom stern with open bulb stern ,one layer of continuous upper deck ,and semi-balanced hanging rudder with rudder horn. X100 A1,Bulk Carrier strengthened, for heavy cargoes CSR ,BC-A, Hold No.2 & 4 and 6 may be empty , GRAB(20),ESP,+LMC,UMS,IWS,LI,SCM.